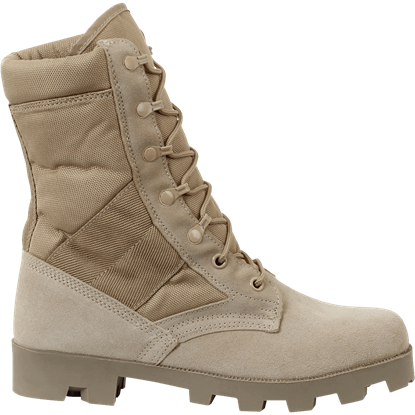 When you are on the hunt for excellent military grade boots and shoes, shop here. We carry a wide array of military footwear for civilians and off-duty troops to enjoy as daily wear or on excursions into the wilderness. Above and beyond anything, military boots must be two things, durable and comfortable. A good pair of combat boots will take you far, giving you the right measure of protection and durability and helping to keep your feet safe from the elements. 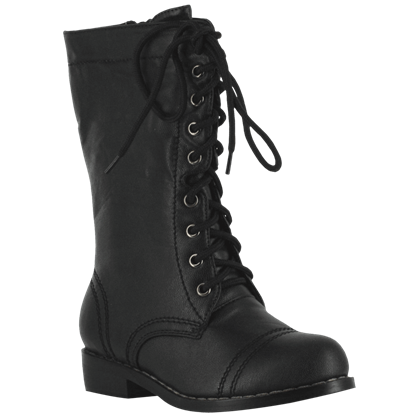 Combat boots go well with a variety of soldier styles, and we offer pairs for men, women, and kids. 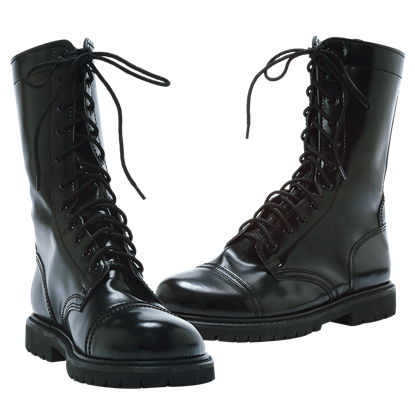 Take a moment to browse our selection, and you are sure to find army boots to suit your needs. As you make your way through the heat and sand be sure to have the Desert G.I. Speedlace Combat Boots on your feet. 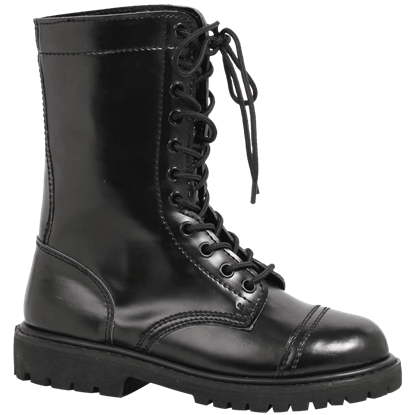 This traditional style boot has a modern design for the soldier that needs safe and comfortable footwear. Take no prisoners in these bold and glossy boots. Based on the classic military boot, these Honor Before Victory Combat Boots will enhance any Punk, Grunge, or Gothic wardrobe, as well as giving an edge to a more mainstream outfit.